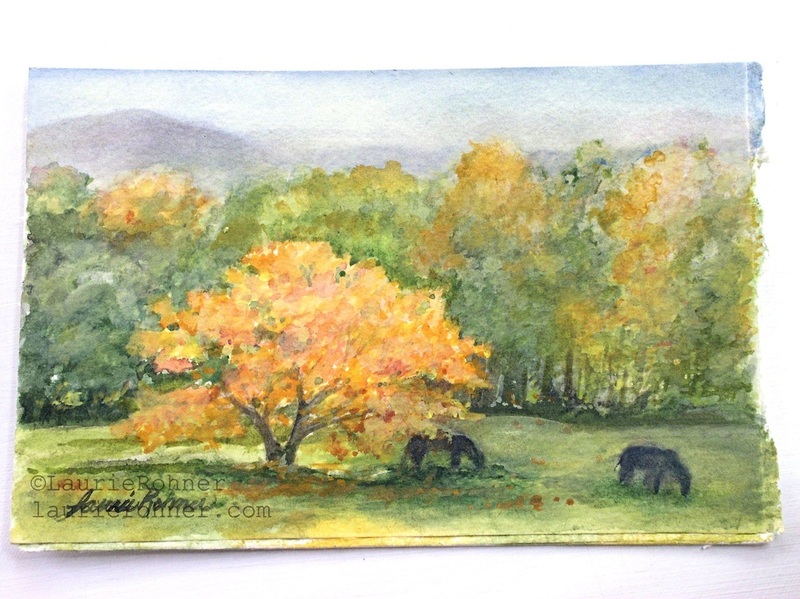 Nature Art Vermont Watercolor Landscape Painting Autumn Maple Tree with Horses Grazing is a Picturesque Scene. 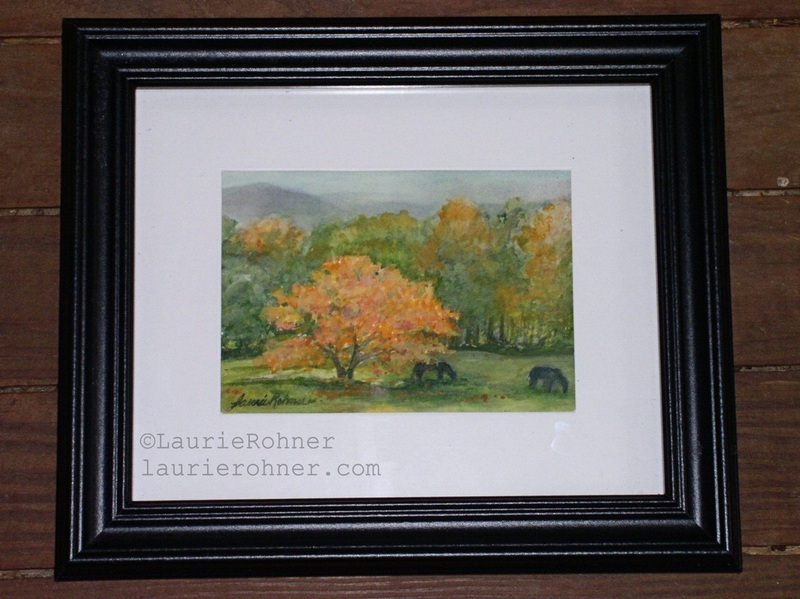 One of a Kind Original Artwork by Laurie Rohner. 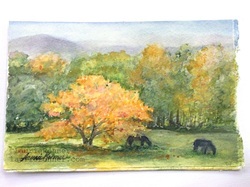 Vermont watercolor of a picturesque autumn landscape of an orange and yellow maple tree in a field with horses grazing. My watercolor is titled Autumn Maple with Horses Grazing. 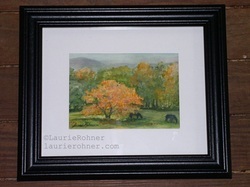 A nature art original painting by Laurie Rohner. 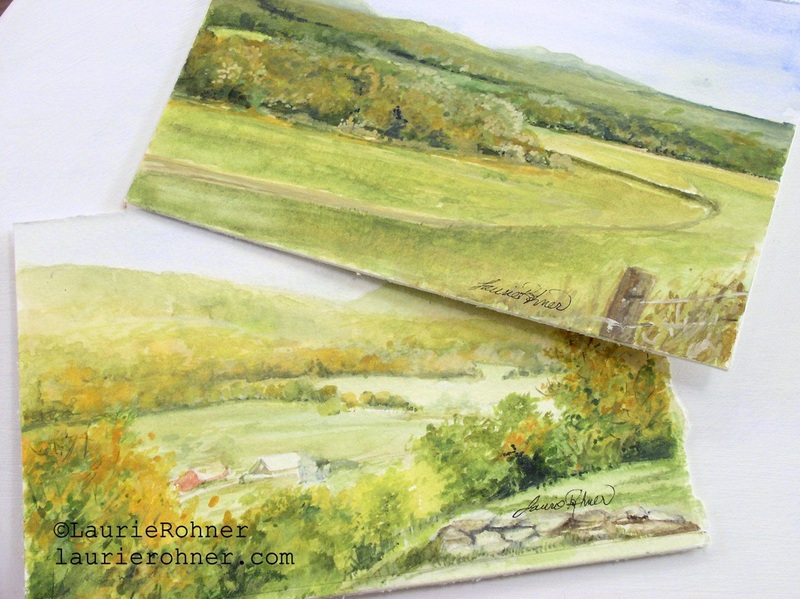 Autumn in Vermont is picturesque serene and peaceful. 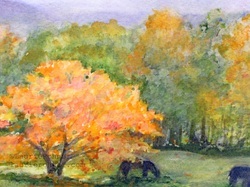 My watercolor painting shows a bright orange and yellow Vermont Sugar Maple tree on the edge of a field with horses grazing. The mountains and hills are cast in yellow and orange. The distance is always hazy but the air is alive with autumn colors and crisp with the smell of turning leaves. 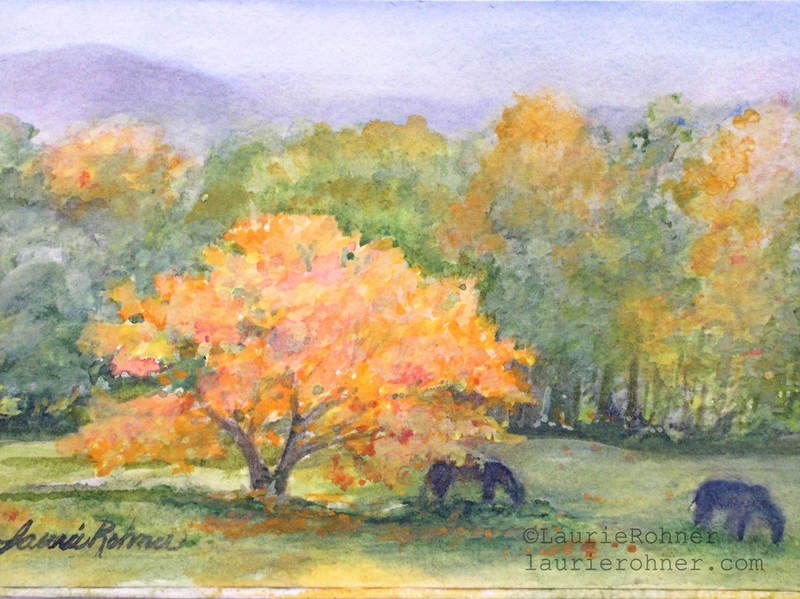 Combine this painting with my other Vermont Original Nature Art.